Rhona Flin, Emeritus Professor of Applied Psychology at the University of Aberdeen, has received the Chair of Council BMA 2016 Medical Book Award for Enhancing Surgical Performance: A Primer on Non-Technical Skills. 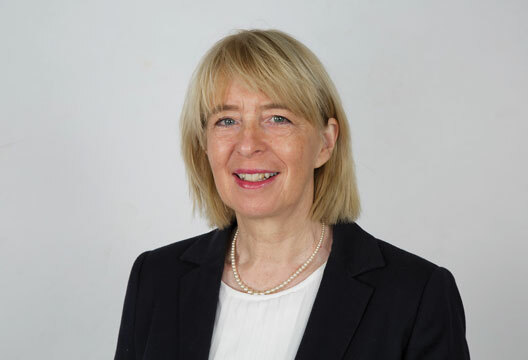 She, along with paediatric surgeon George Youngson and psychologist Steven Yule, co-edited the book for surgeons to learn about the cognitive and social skills that can influence patient safety during operations. The book grew out of a series of research projects (involving other psychologists and clinicians) in which we identified the non-technical skills for key members of an operating theatre team. From that work, we developed tools, such as Non-Technical Skills for Surgeons (NOTSS), which consists of a defined skill set and a behavioural rating system for surgeons to use while watching another surgeon operating. The book offers guidance on how to train surgeons in the non-technical skills and gives advice on how to make NOTSS ratings for feedback and assessment. It explains what we know from relevant psychological science behind the skill categories, such as decision making or how to cope with stress and fatigue while operating. It demonstrates, using examples from surgeons’ experience or recent research into surgeons’ behaviour, why the non-technical skills can influence both safety and efficiency of surgical procedures. Surgeons and psychologists, from the UK, USA and Australia co-authored the contributed chapters. Can you give me some examples of these non-technical skills? The basic categories of these skills are Situation Awareness, Decision Making, Teamwork, Leadership, and Coping with Stress and Fatigue. Each consists of key elements and for every element, there are examples of more and less effective behaviours (sometimes called behavioural markers). For instance, Situation Awareness has gathering information, comprehension and anticipation as elements. These skill sets are similar across a range of higher-risk occupations, although the exemplar behaviours are obviously different. I previously worked on a European research project in which psychologists and pilots identified the non-technical skill set for airline pilots, devising a behavioural rating tool called NOTECHS. Nowadays, pilots usually have their non-technical skills regularly assessed, as well as their technical skills. In the case of NOTSS, experienced surgeons provided the behavioural examples, many of which relate to communication with other team members. What can psychology bring to the (operating) table? The operating theatre is a very private workplace, and psychologists have only recently been granted access to study individual and team behaviour during actual operations. The pioneer in this field was the late Bob Helmreich from the University of Texas at Austin. His research in the 1980s into pilots’ attitudes and their behaviours on the flight deck had an enormous influence on the development of what became the mandated Crew Resource Management (CRM) training that teaches the non-technical skills to enhance flight safety. He subsequently collaborated with clinicians to show that medical errors in operating rooms were influenced by the same kinds of attitudes and behaviours. Until very recently, healthcare workers have had little or no training in the psychological factors that relate to medical errors and patient safety. I’ve found teaching surgeons about concepts such as working memory, its limited capacity and susceptibility to interference, is useful to explain why distractions have to be managed in order to maintain attention. For example, we discuss behaviours that can jeopardise concentration – interrupting someone who’s mid-task or turning the music up in theatre because the surgeon has completed the difficult steps of a procedure but the nurses may still be counting instruments and swabs. Essentially the non-technical skills training covers basic aspects of human performance in a team setting, with complex technical equipment. Increasingly, we can draw on research data coming from studies in the operating theatre or from the clinical simulators. Is there any reason your work has taken this direction? I have mainly worked with higher-risk industries looking at safety management and emergency response [see also Professor Flin's review of the new film 'Deepwater Horizon']. With rising concern on the rates of adverse events experienced by hospital patients, industrial psychologists working on safety were encouraged to extend their studies into healthcare. Probably due to my own limitations, I remain intrigued as to how experienced professionals in higher-risk settings learn to function as calm decision makers in life-threatening situations.